Steve Alford, left, is Nevada Athletic Director Doug Knuth ‘s No. 1 pick for basketball coach. 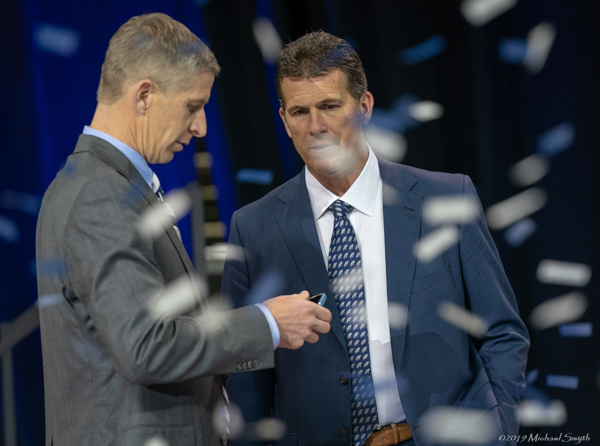 Steve Alford entered Lawlor Events Center on Friday with nothing but success. “I just might be the first coach that’s hired here to be undefeated in this building,” Nevada’s new basketball coach laughed. 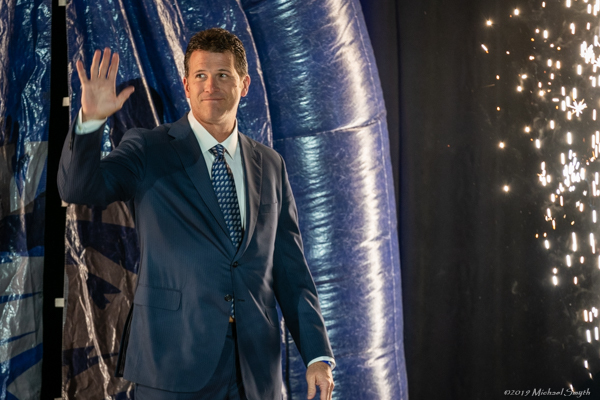 Joined by almost 600 in attendance, Alford made quite the impression on fans and local media during his introductory press conference on Friday. Alford entered walking out of the inflatable players’ tunnel to sparklers and confetti. His presence on the program will be here for the long haul. 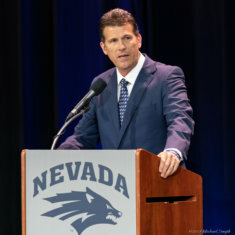 He officially signed a 10-year, $11.6 million contract with Nevada on April 11, the highest figure for a coach in program history. Alford, 54, becomes the 19th coach in Wolf Pack history. He has a career record of of 587-298 (.663) in 28 seasons as a collegiate head coach. With Division I stops at Missouri State, New Mexico and UCLA, his teams have averaged 21 wins per year with just two losing seasons. He’s made 11 career NCAA Tournament appearances, including four with the Bruins in six years. 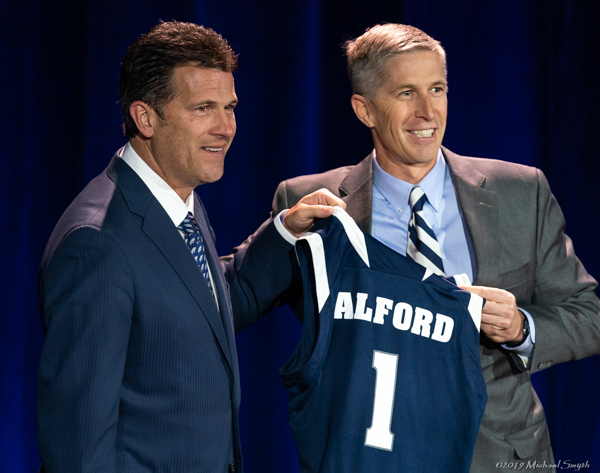 As a player, Alford’s experience on the hardwood speaks for itself. Playing under Hall of Fame coach Bob Knight, he led Indiana to the 1987 NCAA Championship. The 1983 Indiana Mr. Basketball winner was a two-time NCAA All-American selection. Alford earned an Olympic gold medal for the United States basketball team in 1984 coached by Knight. It was the last amateur team to win Olympic gold. 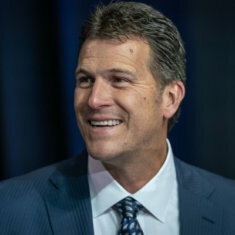 Following his decorated career with the Hoosiers, Alford was selected 26th overall in the 1987 NBA Draft by the Dallas Mavericks. He played four years in the NBA with the Mavericks and Golden State Warriors. The former New Mexico head coach is familiar with the Mountain West Conference. Alford led the Lobos to four regular season titles and two tournament championships in six seasons. His 2012-13 teams secured No. 3 seeds in the NCAA tournament, tying the school record. 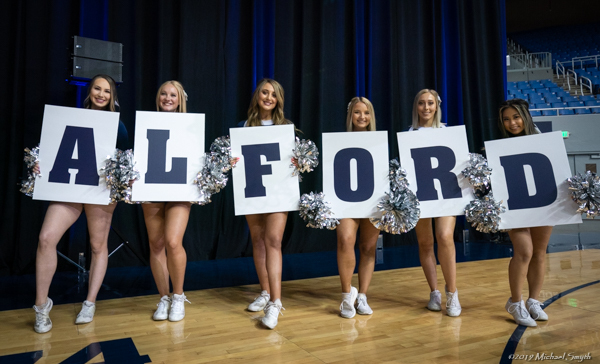 Alford will stick to the same recipe with Nevada that garnered attention for the Lobos, scheduling tougher non-conference opponents. The Wolf Pack offense probably won’t change much under the new regime. Similar to former Nevada head coach Eric Musselman, Alford runs a free-flowing style of play with plenty of ball movement. 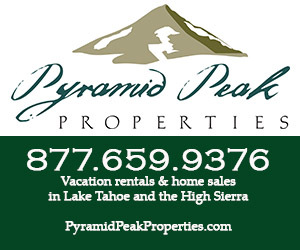 A golf fanatic, Reno’s warm climate sealed the deal that brought Alford to the Biggest Little City. 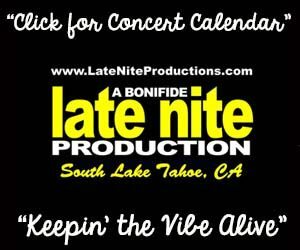 Related story: Jazz Johnson announces his return to the Wolf Pack.